Kona has definitely stolen my heart. The people here are adventurous, friendly and full of Aloha. Kona's reefs are so alive with coral, animals, endemic fish, sharks, and the most beautiful blue water I have every seen. Mantas are seen daily, as well as Tiger Sharks are common in summer months but can still be seen year-round, Humpback whales in the fall/winter, and an occasional Whale Shark comes by for a look! 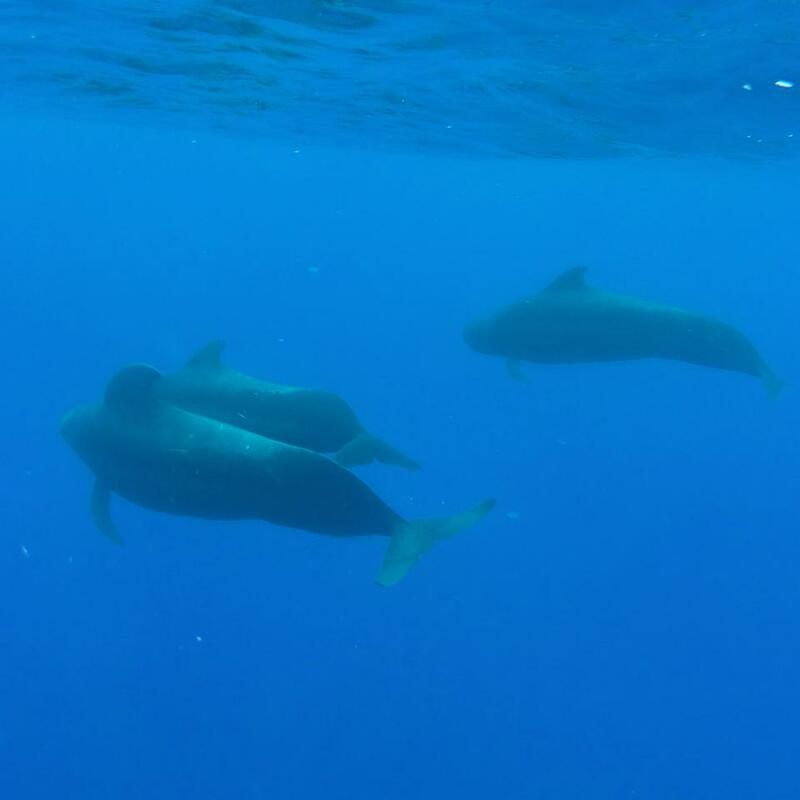 The blue, deep water out here brings all kinds of life here to Kona specifically. Though Kona lacks wrecks (we have 3 small ones around here, in deeper water) we make up for it in teeming marine life on a beautifully healthy coral reef. 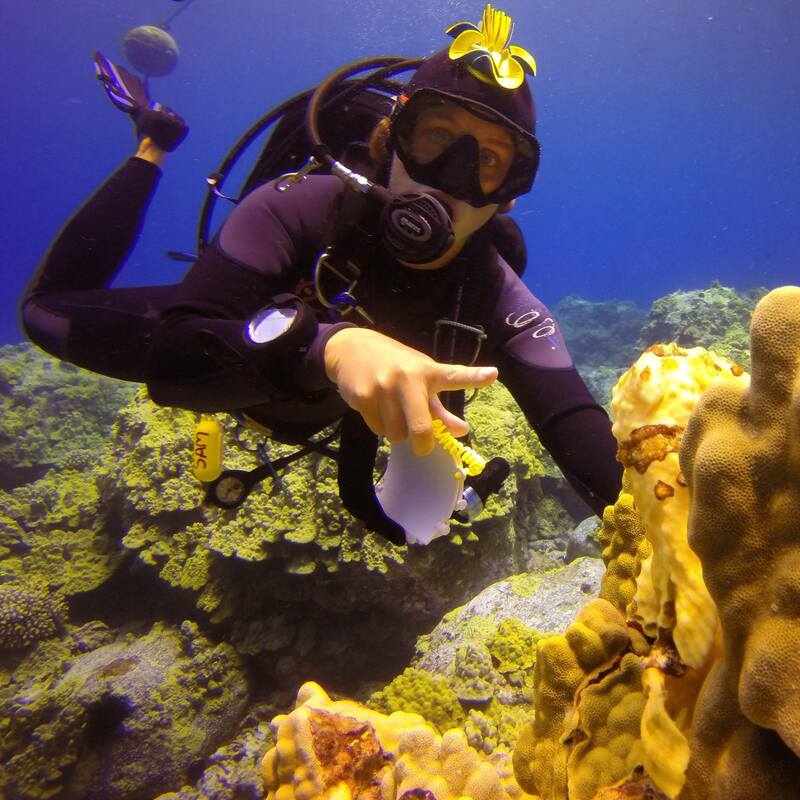 Turtles being cleaned by yellow tangs, sea slugs of all shapes and colors and sizes, huge Ulua, and an occasional big shark can all be seen in a day of diving in Kona. And Mantas! Tons of them! Topside is fun, quiet small town life but with a steady watering hole clientele - you become a "regular" quickly, and make friends even faster! Don't come here and stay in a resort. Camp, or rent a small condo/apartment/room, and see Kona for what it really is. rent scooter, play in the ocean. Have a few beers, and kick back! This place is best for couples, adventurers, and explorers. People whom love life and are active, and want to experience true Aloha. Love the staff here, I've been a customer here since 2006 and I love the guys (and gals) here! KHD boasts a 40+ foot-long Newton dive boat for their boat dives - but there never seems to be more than 12-16 divers on the boat on any given trip. They go to probably 20-30 local mooring sites along the Kona coast that range from steep walls to shallow reefs to lava tubes. Virginia is top notch on the phone, taking reservations, managing, and greeting customers. Taiki is an excellent dive guide, relaxed, friendly and great at pointing out all the little things. Captain Tom T is fun, sweet and kind. Captain Frank is fun, caring and living that Aloha lifestyle! Bryce and Jeff are excellent photographers here and their manta videos are beautiful and artistic. Oh, and my favorite - the BLACK WATER DIVE!!! What an invigorating, ethereal experience to drift in the black water, with 7000' below you, attached to the boat like bait. EPIC. LOVED THIS PLACE!!! HIGHLY RECOMMEND! I did not give the boat any stars since I didn't actually use them - I spent some time on the house reef and met a lot of the staff in the rental department and the shop. Sam's is fantastic. Free house diving on their reef? Borrow a tank - go dive. Right there. For free. The reef was fun, quiet, peaceful, and offered a lot of interesting animals! 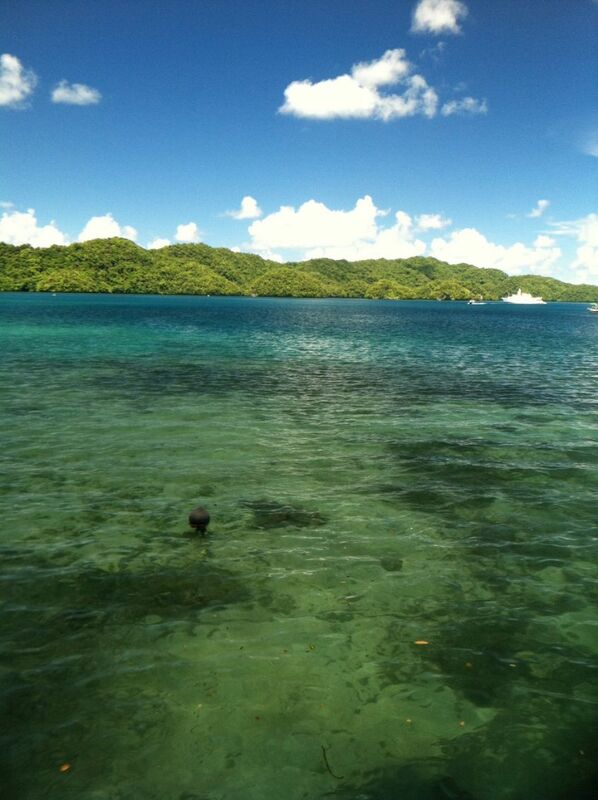 I saw the Razor fish or Shrimp fish dancing vertically right under their dock, beautiful corals everywhere! I looked for mandarin fish as I heard they are right in that area, but didn't see any. The dive is right in their little harbor - but there affords lots of unique creatures and topography! Next time I'm in Palau I will do some boat dives with them too! A liveaboard really is the best way to see Palau. And, boy, these guys are professional! 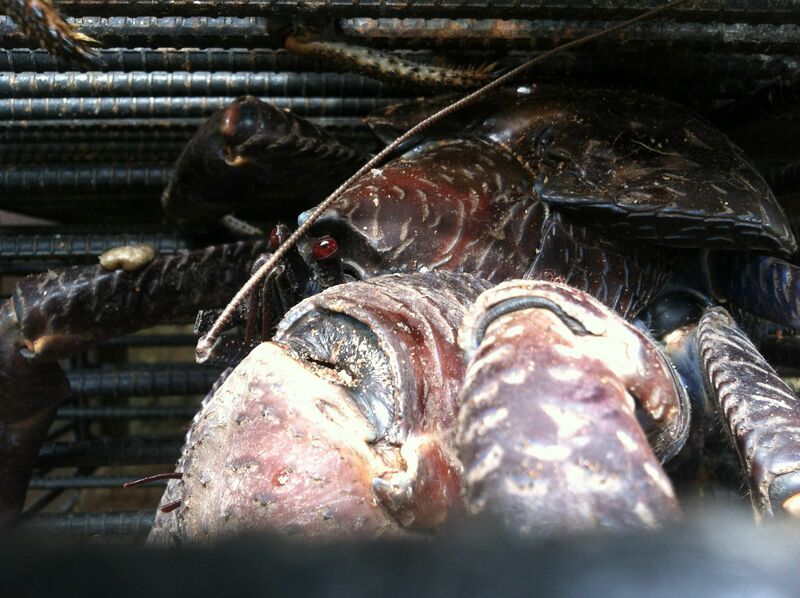 They work SO HARD, every day, so that people have clean marine heads, excellent diving, great food, and amazing service. Food was good - I liked breakfast most, and lunch was always large portions enough for me and my ravenous appetite. The tended bar was awesome - although I preferred to do all the dives, so I can safely say I was one of the lightest drinkers on the live aboard. I loved how the gear was set up on the skiff. It stays attached to your tank, and they just refill the tank after each dive - it never leaves and you only have to set up your gear ONCE, just how you like it!!! Backrolls were fun, I always wound up bumping into my fellow dive buddy - but that made for bonding and cute laughs shared - definitely a positive not a negative. Dive guides were very knowledgeable and great at finding the awesome critters! Hector was my favorite - quiet, hard worker that REALLY knew his way around all the dive sites underwater. I'd love to go again - I can't wait to go back and feel the current rippin' in my face again! Palau is the dive destination vacation. You really shouldn't be going to Palau unless you really want to be spending your time underwater. The walls are ridiculously vertical. I mean, *nothing* below you. Awesome. 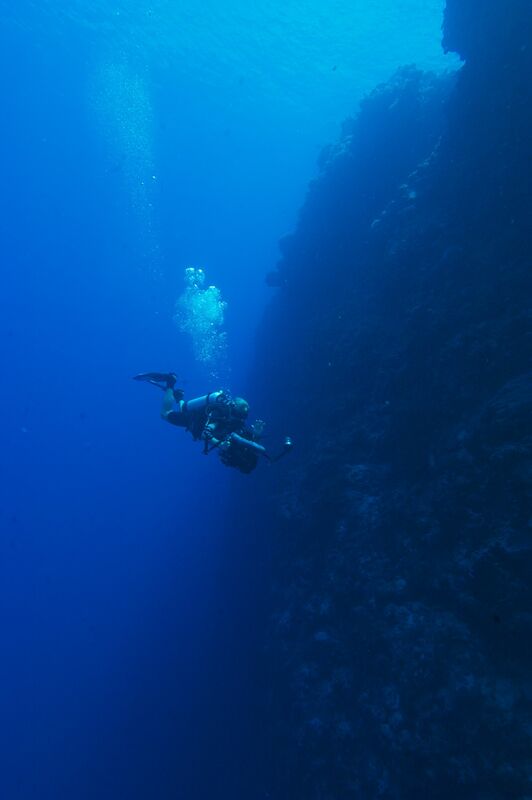 Drift dives are fantastic - you get to see a larger area underwater, and stop to explore what you want to, when you want to. The soft corals here are unreal - everywhere - all colors - it's just so colorful underwater! Fishes everywhere too - and not to mention sharks! I was expecting more different sharks - we only saw Grey reef sharks and whitetip reef sharks - but we saw TONS. 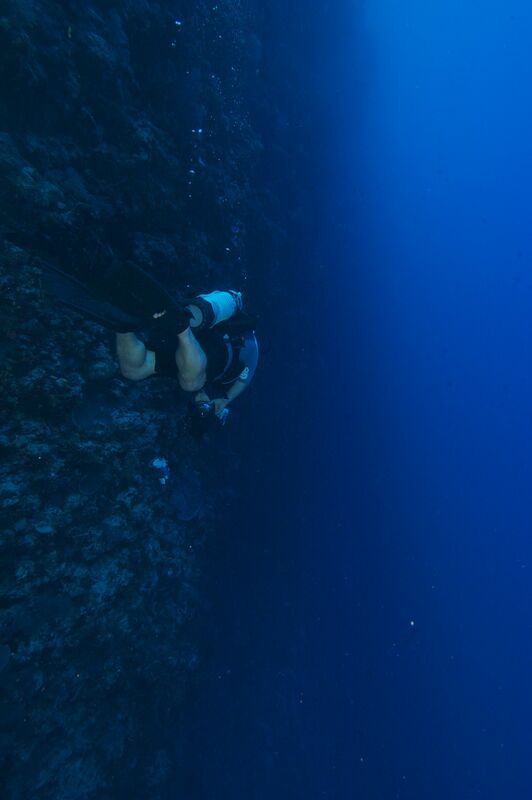 Blue corner was my favorite place to chill - but the best dives I have had were at Peleliu. Peleliu was epic. super clear water (150' viz) - strong currents, and just the most gorgeous blue you can imagine. Topside was very quiet. Nothing really open after 8pm, and not too many food and nightlife options. My suggestion is to find a favorite watering hole/restaurant and stick with it. We drove around the island - but Koror really was all we needed to see. The dirt roads to the northwest were fun to get lost on though - make sure not to get lost after dark with no cell reception and out on a forgotten dirt road…. If you can afford it, the live aboard option is the way to go - and frankly, if you're traveling to Palau - you can afford it. If you stay extra days before or after, hit up the other charter companies which are also worthwhile. OH! Almost all the wrecks in Palau are INSIDE the lagoon (didn't know that going there) so visibility is pretty low. I think the Chuyo Maru had about 20' viz while we were there, which added an odd eerie green to the wreck. Teshio Maru was probably my favorite wreck - huge, lots of areas to explore, and seeing the damage of a bomb on the ship really was mind-blowing. Helmet Wreck had about 40' Viz and Iro Maru had about 60' - but once you start wall diving, the visibility opens up substantially to over 100'. I lived in Southern California for 17 years, but it wasn't till later on that I really appreciated all the diving that southern California has to offer. And some of my favorite sites are in San Diego - Wreck Alley and Scripps Canyon! Waterhorse Charters let's you do your own thing. Wreck certified? Tec Certified? Go at it. Decompress. Penetrate. You're on your own, and I love it! As a dive professional - I love setting my own limits. And if you aren't - you can have a guided dive too! I absolutely love the Yukon. Huge, massive intricate wreck. Big dark hallways. The Bridge. Gun turrets. Man! And Scripps canyon is epic - I swam up to the point of the canyon (where is diverges) and sat there - just stared out, watching the canyon walls just disappear away from me… wow. But I'm here to tell you about Waterhorse Charters. LEGIT. HOT SOUP between cold dives!!! Hot tea & chocolate! HOT SOUP!!! Salad, cookies, crackers, and HOT SOUP! Dude! THE *best* thing between cold wetsuit dives is a nice bowl (or four) of soup to warm ya up. Knowledgable staff, floor plans of the wrecks, and huge cabin space for plenty of mingling room. Turks Caicos is a beautiful place - white sand beaches, gorgeous corals, sea fans, Grey Reef Sharks, and great dive centers! We stayed in a private condo on Providenciales. We There's some super fun dives sites like the Thunderdome (old French TV show set) and a couple natural tubes/caverns to explore! Topside is quiet, the local cuisine specializes in Conch - a big marine snail that is farmed on island - it's great as ceviche or fried up! Quiet island of Providenciales was sweet and people are friendly. I really wanted to adopt a Potcake Pup (Potcake is the term for a street dog, eating the caked on rice and starches in the bottom of a pot) - there are dogs all around but none of them were aggressive. Wish I could have taken them all home! On the dives I saw tons of flamingo tongue snails, sea fans, reef sharks, and big groupers - the sharks and gorgeous sponges were my favorite on the trip!